Peel Brimley is a Nevada-based construction law firm with offices in Henderson, Nevada and Seattle, Washington, and represents clients with respect to their legal matters across the Western United States. 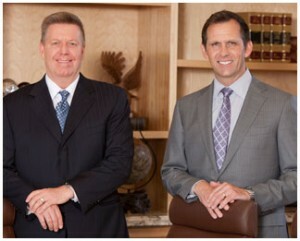 The firm’s attorneys are licensed to practice in Nevada, Washington, Arizona, California, Utah, Hawaii, North Dakota and in the US Court of Federal Claims. Many of Peel Brimley’s attorneys have specific backgrounds and education in construction, including engineers, construction managers and construction claims consultants, and have dedicated their careers to the construction industry. The Peel Brimley team also consists of trained paralegals and support staff focused on providing long-term success. Our firm is proud to provide a wide variety of legal construction service, from day to day job site advice to litigation involving hundred million dollar disputes on multi-billion dollar construction projects. We have represented a wide variety of client in the construction industry, including public and private owners, general contractors and subcontractors, large trade groups, architects, engineers and suppliers – from the smallest mom and pop shops to many of Nevada’s largest contractors and suppliers. We are dedicated to providing each construction industry client – whether an owner, general contractor, subcontractor or supplier with a frank, honest and open assessment, enabling them to make an educated decision and proceed in his or her best interest. We are committed to our clients in the construction industry to improving construction law and have built our practice from word-of-mouth referrals. We care about our clients’ needs, are concerned about their struggles and will aggressively handle their issues as we have in the past with repeated success. We are dedicated to providing our clients with exceptional services and are proud of the fact that they continue to return and refer us to others in the industry. Construction is something we believe in, and we have worked hard, to create rights and remedies for contractors, subcontractors and owners alike in order to provide them with the protections they need to run successful construction projects.